The Washington Township Board of Education has approved Greg Muscelli as the new assistant principal at Bunker Hill Middle School. Muscelli replaces George Passante, who recently accepted the role of assistant principal at Washington Township High School’s 9/10 building. Muscelli is a 13-year veteran teacher, including the past 12 years in Washington Township. He has taught Advanced Placement, Honors and College Prep World History, as well as survey U.S. History I at Washington Township High School since 2005. Just this past school year, Muscelli was named WTHS Teacher of the Year. 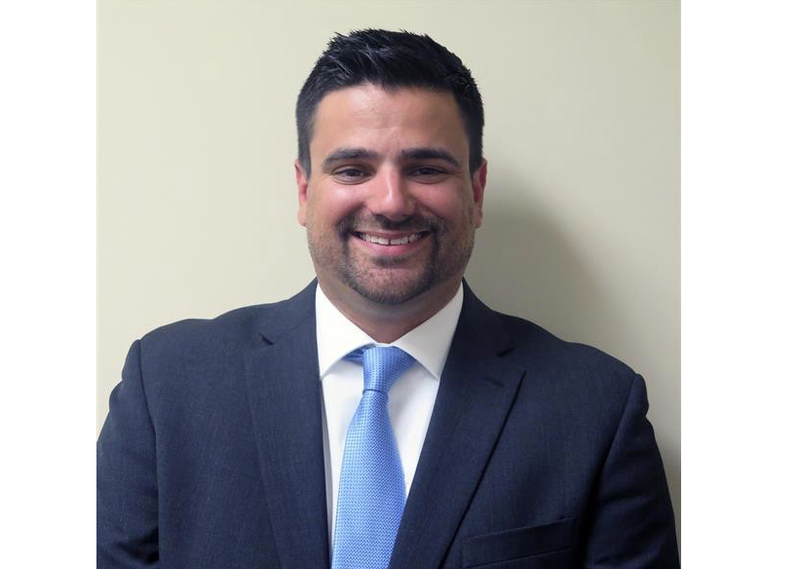 As BHMS assistant principal, Muscelli will assist D’Ostilio in the overall administration of the school, including compiling budgets, requesting supplies and equipment, conducting inventories and maintaining records. In addition, he will: assume responsibility for coordinating transportation, custodial, cafeteria and support services; supervise student attendance; maintain discipline, dealing with special cases as necessary; supervise teachers and departments as directed by the principal; and serve with parents, faculty and student groups in advancing educational and related activities and objectives. Muscelli brings a wealth of experience to the administrative role. Since 2013, he has served as supervisor of instruction/principal of the Gloucester County Special Services School District’s Migrant Education Summer Program. There, he oversees discipline, supervises teachers and assistants and conducts staff meetings for the pre-k to grade 11 program. Muscelli also serves as WTHS’ SAT Test Center Supervisor, recruiting and training staff, ensuring the security of test materials, and supervising all facets of test administration. Previously, Muscelli has done administrative internships at WTHS, both in the assistant principal’s office, as well as with the social studies department supervisor. He has been highly involved in curriculum development, authoring or co-authoring the AP and College Prep World History Curriculum Guide, the College Prep and Honors World History Benchmark Assessment, and the Honors World History Mid-Term and Final Examinations. He has been a teacher member of the District’s School Improvement Panel. In addition to his work in the classroom and in development, Muscelli has served as mock trial advisor, supervisor of detention and Saturday school, and as a mentor for Team Step-Up, which provides academic support and organization and test preparation skill development for underachieving students. Muscelli earned his Bachelor of Arts degree in Social Studies and Secondary Education from La Salle University, and his Master of Science degree in Educational Leadership from Saint Joseph’s University. He earned his Doctor of Education degree in Instructional Leadership from Nova Southeastern University, penning his dissertation on “The Effect of Co-Teaching on Ninth Grade World History Students’ Academic Achievement and Classroom Behavior.” Muscelli owns a New Jersey Principal Certificate, as well as an N.J. Standard License in Social Studies. Muscelli lives in Swedesboro with his wife, Francesca, a former WTHS English teacher, and their daughters MariaRose, 4, and Ariana, 1.